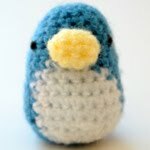 The fox, the penguin, the elephant and the corn on the cob! 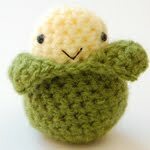 Today, I would like to share a free pattern with you all!!! 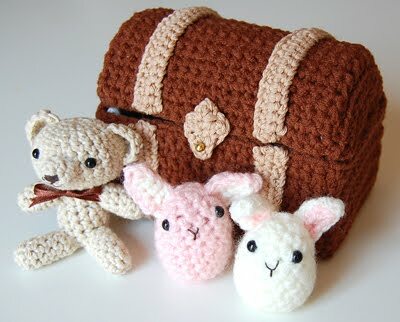 It is part of the newest patern in my shop, the toy chest! As you can see, in my patterns I draw diagrams to explain the difficult parts of a project and include many pictures to make your work as easy as possible!!! Bind off leaving a long tail for sewing. 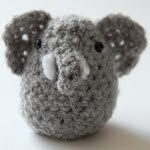 Embroider nose, stuff and sew to the head. Bind off leaving long tail for sewing, stuff and sew to body. 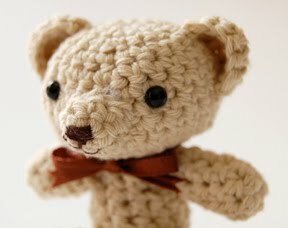 2 – ch 1 to turn, sc 3 stitches in 1 stitch. Bind off leaving long tail and sew onto head. 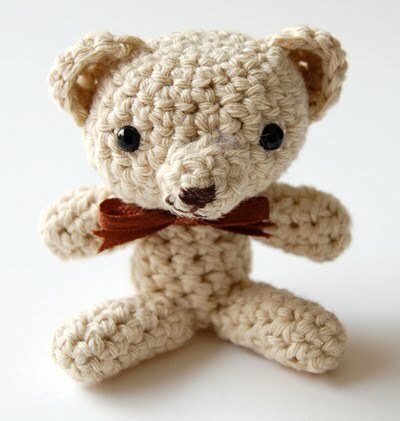 Finally, attach a brown ribbon around the teddy bear’s neck and cut the edges into a V shape. I can’t wait for my crochet hooks to arrive… and to get learning! Super Cute Flannel Cupcake (Guest Post) – stocking fillers, baby showers or new home gift! How to make a Flower Pom Pom (guest post) – simply gorgeous – use as wedding decor! Totally adorable–each and every one. 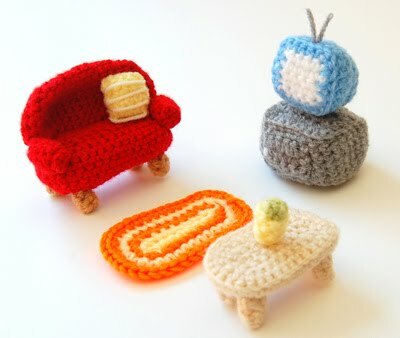 Love the crochet furniture, that’s absolutely fabulous. Thank you for the typo heads! I am notorious for it!! All fixed now! 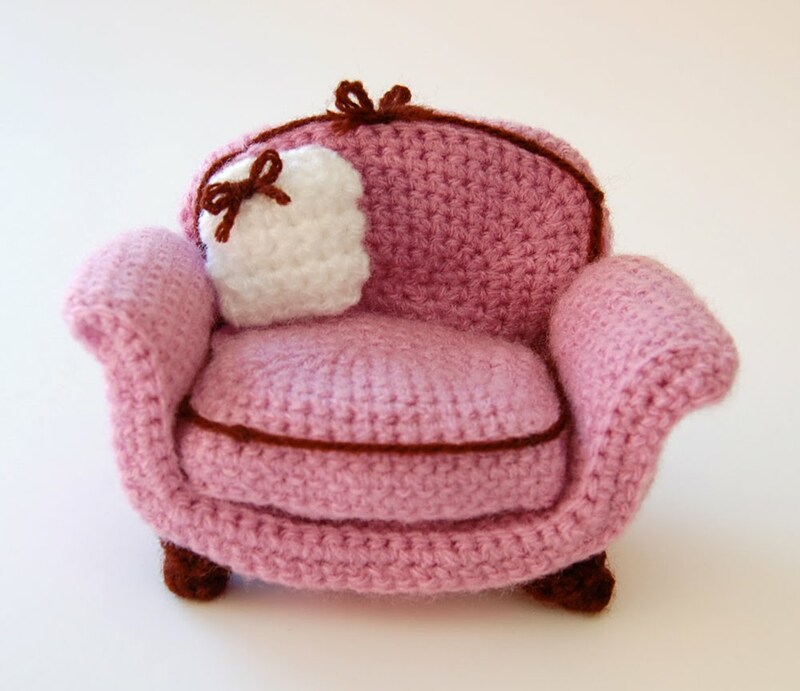 And yes, isn’t the furniture just adorable! Oooh, thank you so much for forwarding on! Much appreciated!! Really appreciate!! Always so hard to redirect everyone!!!! 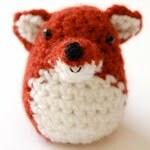 Wow…I love your little crochet animals and furniture! What a talented lady you are! 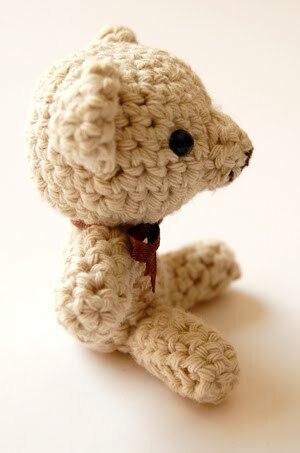 I have crocheted before but have never made anything so intricate! Thank you for sharing these darlings with us…as well a the pattern for Sunday Favorites this week!